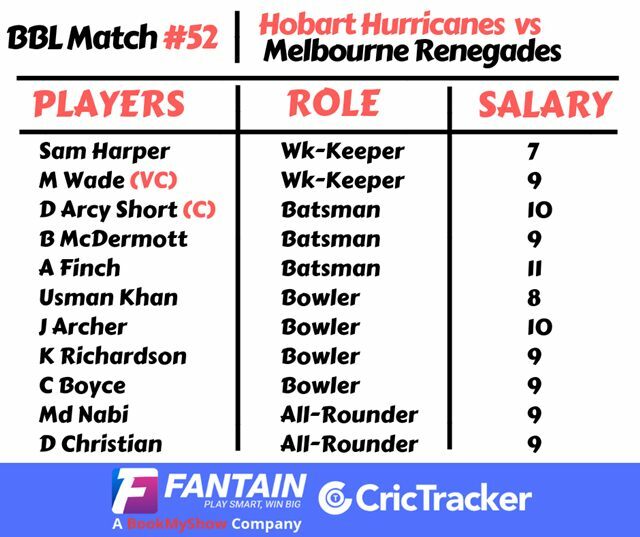 While the Hurricanes appear set to qualify as table-toppers, the Renegades will look to win and progress with a higher table position. Just five more matches to go before the 1st Semi-Final on February 14. Hobart Hurricanes sit pretty at the top of the table with 18-points and two matches still to play. They can breathe easy as they’ve long secured their Semi-Final berth. The Melbourne Renegades are through as well; they have 16-points with the game against the Hurricanes being their final one. While this might appear a dead-rubber on the surface, there’s a psychological victory to be achieved and also, the Renegades seek a better Semi-Final fixture with a higher placing in the points table. Lowest Defended: 179/8 (20 Ov) by AUS vs WI. Aaron Finch is finding form and could explode anytime. Finch(C), Harris, Harper(WK), Cooper, Nabi, Harvey/Webster, Christian, Boyce, Richardson, Wildermuth and Gurney. With 22-wickets in the tournament, Kane Richardson is in top bowling form. Christian and Nabi are the perfect all-rounders for your lineup. Harper is a good bet for wicket-keeper batsman in your Fantain XI. Also, Qais Ahmed is the leg-spinner that comes in to replace Tymal Mills. Wade(C&WK), Short, Jewell, McDermott, Bailey, Milenko, Archer, Qais, Rose, Meredith and Moody. 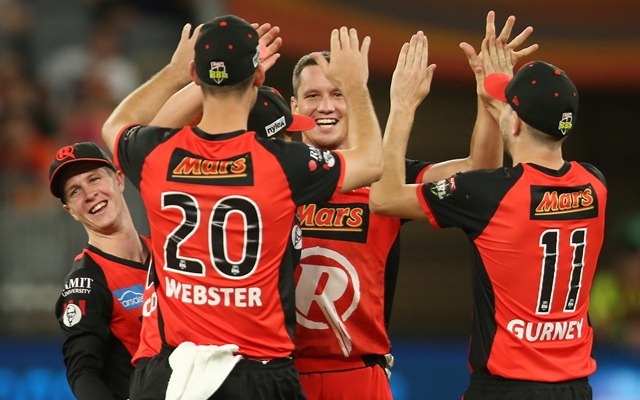 Ben McDermott’s only Big Bash ton was against the Renegades. Therefore, you could pick him and hope that he gets going once again. Wade and Bailey are two players to count on. D’Arcy Short has to be a permanent fixture in your line-up every time the Hurricanes play. He has amassed over a thousand BBL runs over the past couple of years and is a consistent performer. Jofra Archer has put in strong performances with the ball, so you could look to bolster your Fantain XI with his bowling capabilities.